1 Noodle is irrigated water issued a COSI in the manufacturing process of its own domestic wheat flour produced using 100%. Noodles. Frying uses 100% vegetable oil. 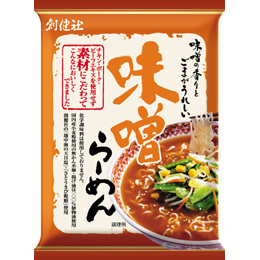 1 Soup any chemical seasonings and chicken, pork, beef extract, etc. Is, no depth of flavor and taste differences compared to soups with meat extract. It is soup hot new novel. Use and further enhance the qualities of the material.